Organ transplants can save lives and help improve the quality of life for someone who is seriously ill. Transplants are still major operations but they have become more routine over the last 30 years. The earliest transplant to be carried out was of a cornea, which took place in 1905 in what is now the Czech Republic. The USA can claim to have carried out the first kidney transplant, in 1954 in Boston, Massachusetts but Scotland performed the first living donor kidney transplant in 1960 in Edinburgh. A living donor transplant is from a relative or person who closely matches the recipient and who gives one of their kidneys for the operation. They remain healthy with their other kidney but the donation does carry great risks. The first ever liver transplant in the UK was carried out in 1963. The ten thousandth liver transplant in Britain was performed in 2004, in July. Almost 90% of people who now receive a liver transplant are still alive a year later. 1967 saw the first very famous heart transplant operation by South African surgeon Christiaan Barnard. The year after, 1968 marked two great milestones for transplants in the UK with the first liver transplant at Addenbrokes hospital in Cambridge and also the first UK heart transplant. It took only another 11 years for the UK to achieve a full heart transplant programme. Lung transplantation is extremely difficult technically but the first operation to transplant a heart and lungs at the same time was done in the UK in 1983. This was followed three years later, in 1986 by the first lung-only transplant operation and by the first transplant in which a patient receiving a heart and lung transplant successfully donated their healthy heart to another recipient. This domino heart and lung transplant was achieved in 1987. The UK, like many other countries, now has transplant programmes for all the major organs but more unusual transplants are still in the development stage. In 2005, France completed the first ever partial face transplant. The UK has a long and distinguished history of transplant surgery. In the first five years of the 21 century, Britain carried out over 4000 liver transplants, 61 transplants of the liver and kidney together and one each of a heart, liver and lung transplant and a liver and heart transplant. Over 600 of the patients who receive a new liver originally had problems because of over indulgence in alcohol. The variety of organ transplants that are carried out is now quite wide and the UK has 7 dedicated transplant centres, 6 within England and the relatively new West of Scotland Heart and Lung Centre in Clydebank, Glasgow. 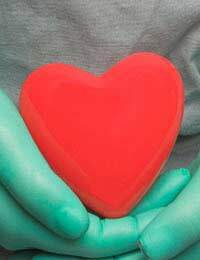 Altogether in the twelve-month period running from April 2007 to the end of March 2008, UK surgeons transplanted a total of 3235 organs from 1665 donors. The difference between these figures reveals that some donors gave more than one organ for a successful transplant. One of the most common transplant operations is of a cornea and 2489 patients underwent a corneal transplant in this period to restore their vision. Kidney transplants are the second most common, with 2324 transplanted. Some people who received a donated kidney also received transplantation of the pancreas and/or liver. Combination transplants are technically difficult but are becoming more common and more successful. During this period over 900 people received a collection of organs including lungs, heart, kidney and liver at the same time. Currently, there are no accurate figures for the number of transplants performed worldwide. This is one of the major goals of the Global Alliance in Transplantation, which aims to oversee accurate collection of data. Only general trends and information is available from estimates. These show, for example, that the USA performs twice number of kidney transplants than are carried out in the whole of Europe each year. By contrast, the number of kidneys transplanted in Asia is extremely low. Many Muslims do not accept desecration of the body after death but many now agree to transplantation from non-living organ donors if another live can be saved. The shortage of organ donors is a universal problem and strict rules are in place, encouraged by the World Health Organisation, to prevent poor and underprivileged people being forced into becoming living donors. This practice is becoming more common but needs to be tightly controlled.